Continuing on the theme of teaching kids to clean from Nony's e-book Teaching Kids to Clean, I am collecting child friendly cleaning supply recipes so that they can start tackling the bathrooms and kitchen themselves without you fearing that they get a chemical burn or have to call poison control. I have given a list of cleaners using vinegar in a previous post but have since then carried on experimenting with other cleaning recipes. 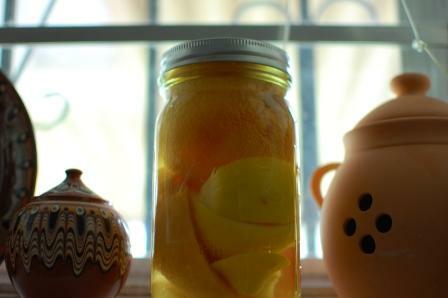 I have been keeping my jar of spent citrus peels in vinegar to use in my basic all-purpose cleaner instead of using essential oils. This is a much more frugal way to scent my cleaner. Great tips! And a cute blog! :) Hopping from WFMW.